Already discussed in the Pacific war section ( viewtopic.php?t=78115) but some excellent information supplied there. 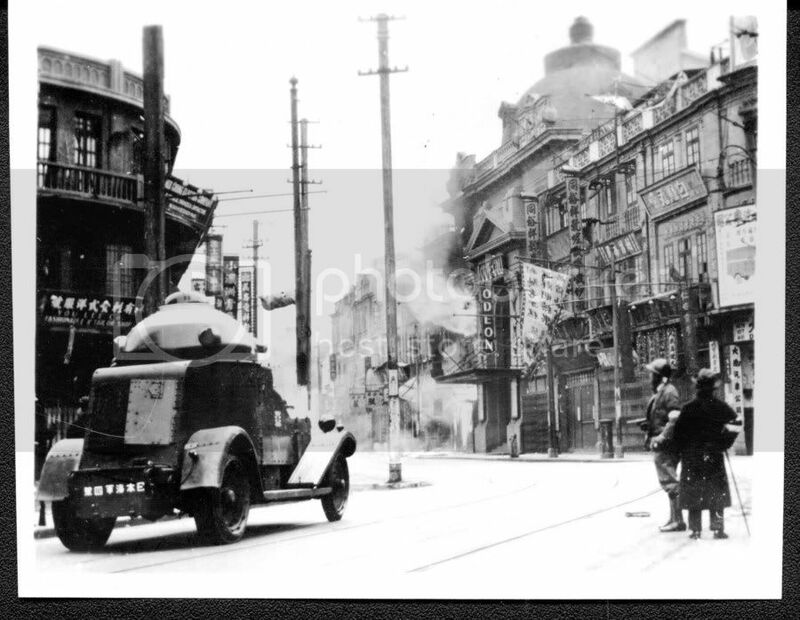 Was the Shanghai SNLF there before 1932? References mention the Shanghai SNLF still in China 1939/41.Did it continue to garrison Shanghai or did it fight further west against the Chinese? Was it involved in the takeover of the International Settlement of Shanghai in December 1941? > Was the Shanghai SNLF there before 1932? No. 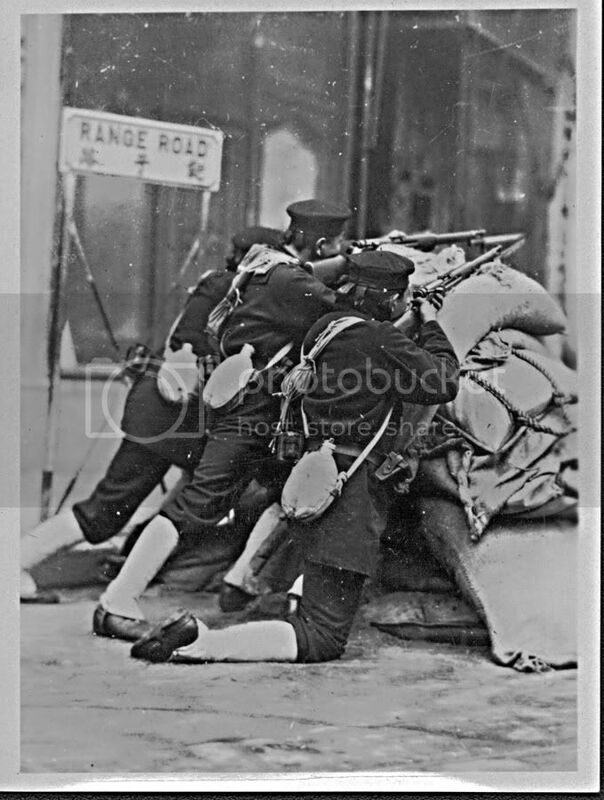 When conflicts happened at Shanghai, sailors from vessels landed and defended Japanese people. But, they were not permanent ground unit. In Oct. 1932, the SNLF ordinance was issued. By this ordinance, SNLF was first defined and the naval landing force at Shanghai was named Shanghai SNLF. 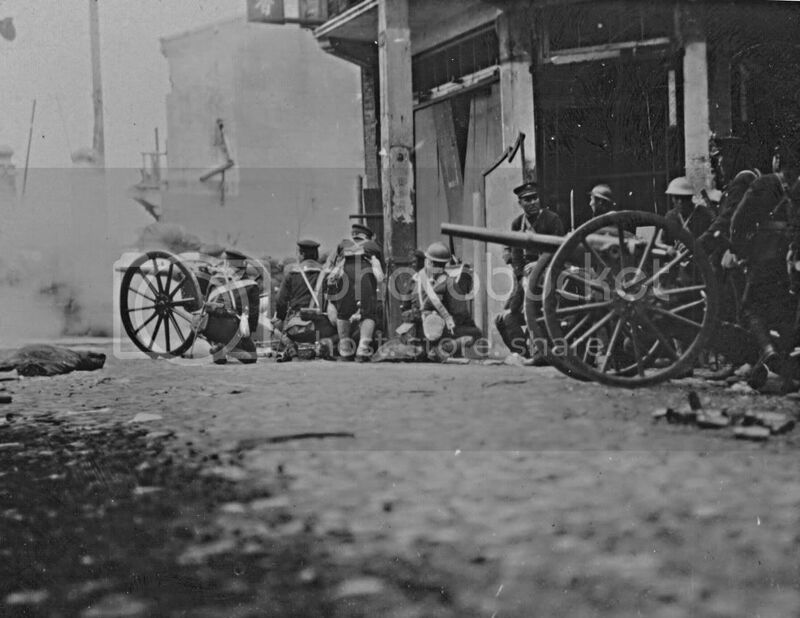 So, strictly speaking, the unit fighting at Shanghai in 1932 was not SNLF, but NLF. Thanks for the help Taki. 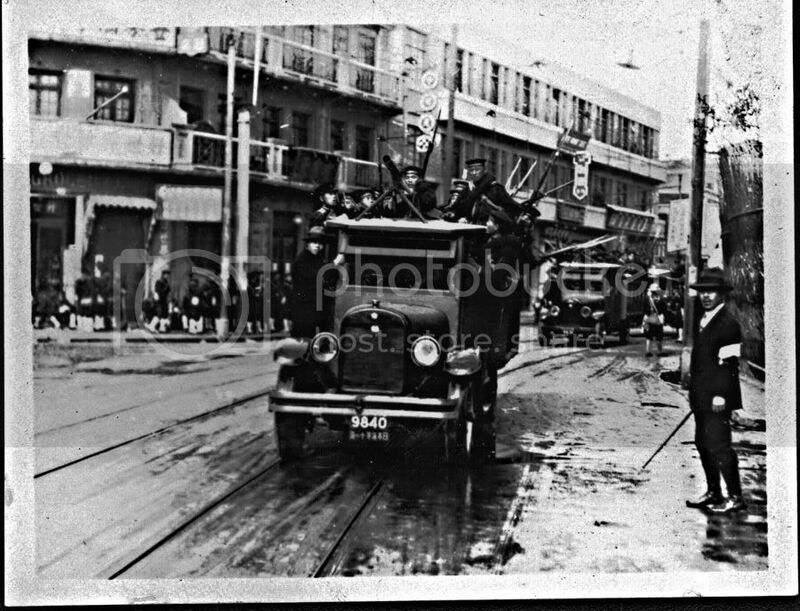 From Corbis.The Japanese 9th Division arrives Shanghai 1932. I think they are currently archived on their forum somewhere so I cannot easily locate them/acknowledge their owner. Note Japanese civilians helping as guides in the above photos. If I'm correct some civilians were armed as well to defend the Japanese settlement? 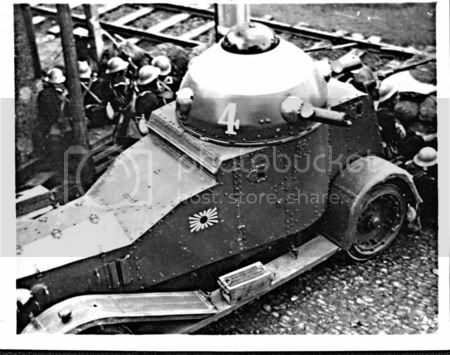 Vickers Type 87 Armored Car again. 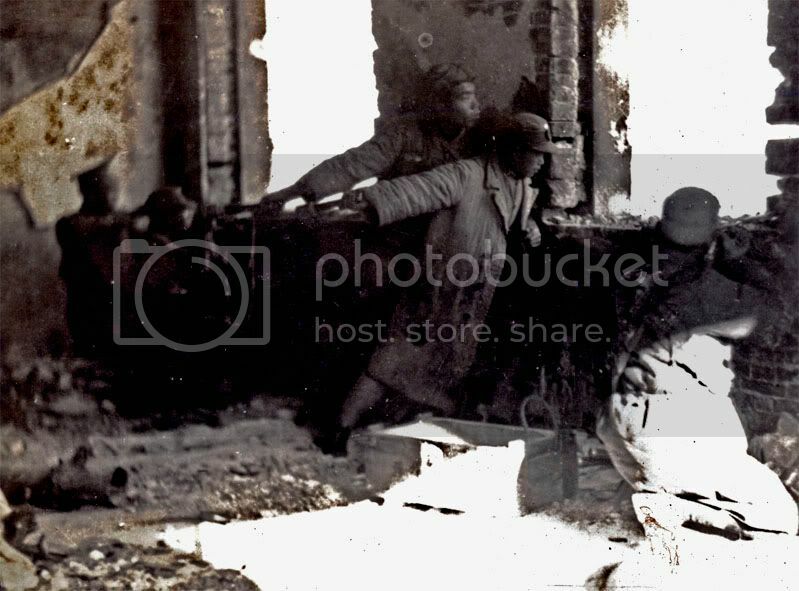 I have seen this picture Sha_4.jpg above before It is of some Japanese soldiers flushing out Chinese snipers by burning a building. I think there is another somewhere showing them dragging off some hapless Chinese sniper. Pictures, especially of those Vickers are great! Keep them coming! Wounded being helped.From Rekishi Syashin.